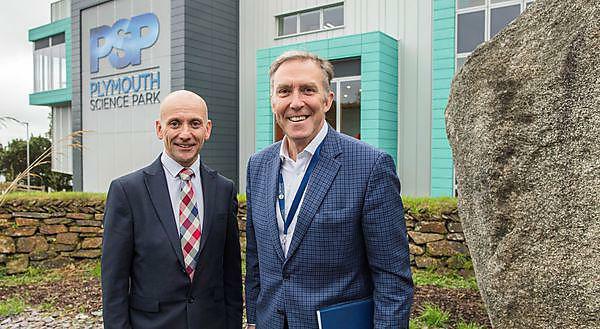 Plymouth Science Park has made two major appointments with the successful recruitment of both a new Chief Executive Officer and a Chair of its Board of Directors. Ian McFadzen has taken up the role of CEO, moving from the University of Plymouth where he was Commercial Director of the Marine Innovation Centre. And Michael LeGoff, Founder and CEO of Plessey, has been appointed as the park’s Chairman. With more than 30 years’ experience in the public and private sectors, Ian brings with him expertise in translating research outputs into commercially viable business opportunities, particularly in the fields of biomedicine and life sciences. He is the founding director of two biotechnology companies, including Biovault, the UK’s largest accredited private sector human tissue bank, and has worked with a range of science parks across the UK, including Plymouth, Cambridge, Bristol and Bath. A former research biologist, Ian has spent the last ten years at the University, and has worked on collaborative R&D programmes across Europe, North America and South East Asia.